Jones Skips (Wolverhampton) Ltd is currently one of the West Midlands leading Skip Hire Providers – Supplying Skips and Skip Hire Service to clients throughout the West Midlands conurbation. This is a family business which started from modest beginnings way back in 1998. At that time the company was a partnership and was started by a Father and Son team utilising a small fleet of Skip Vehicles and a relatively small stock of Skips of Various Sizes. This cornerstone of the business is very much alive and well today! 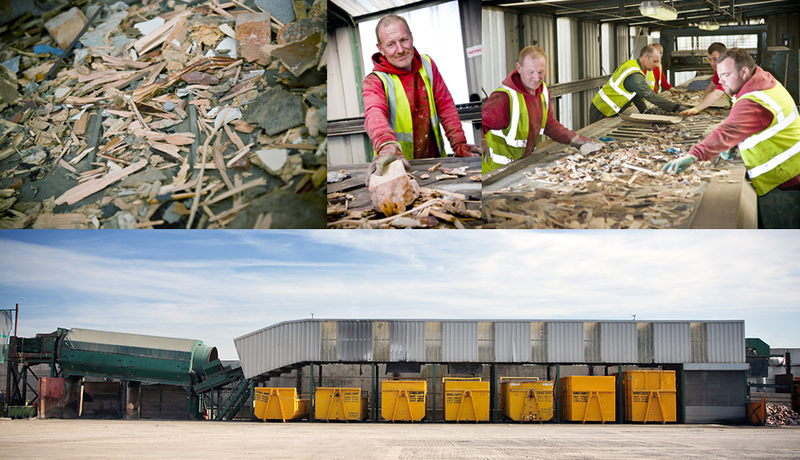 The company is still family run but has also invested in state of the art Eco Friendly Skip Loader Vehicles together with quality and diverse Skips of all Sizes. In addition, Jones Skips has moved to purpose built facilities in Wolverhampton. The new facilities incorporate a Waste Transfer Facility and also Full Recycling Facilities. Importantly, the investment has also included the recruitment of additional staff including a dedicated and industry experienced Business Account Manager whose role it is to ensure that key accounts receive a seamless and fully coordinated service. In 2005 the original Skip Hire Company became fully incorporated and now trades as JONES SKIP HIRE (WOLVERHAMPTON) LIMITED. The new Skip Hire Company has been built upon the solid foundations established back in 1998 – The ongoing commitment is to take the elements of good old fashioned service and to couple this with forward looking, cutting edge facilities. Jones Skips are determined to be the best that they can be!